If you've been paying attention to the NBA for the past two years, it goes without saying that the NBA's "supermax" contracts have been a failure. We've seen incumbent teams forced to part ways with superstars who weren't supermax eligible (Paul George, Gordon Hayward), other teams that have decided to trade stars who were eligible but probably not worth it (Jimmy Butler, DeMarcus Cousins), and still others that have offered massive, cap-killing raises to stars who may have stayed regardless (James Harden, Steph Curry). It's been kind of incredible to watch. In the winter of 2016 the NBA devised this rule to give teams an advantage in the endless battle to retain homegrown superstars. Two years later, it's hard to imagine a scenario in which the first two years of this experiment could have played out any worse. This season, in particular, the failure has been punctuated like never before. First, for anyone who doesn't spend way too much time reading about basketball online, a quick refresher on the rule in question. When the NBA and the Players Association were working on a new Collective Bargaining Agreement during the 2016-17 season, they did so in the shadow of the Kevin Durant Warriors. Durant had left the Thunder the previous summer, and while Oklahoma City was technically able to offer him more long-term money than his free agent suitors, the difference was negligible over the course of a four-year deal. Ultimately, and in large part because the league and the players association failed to agree on a deal for cap-smoothing in advance of the 2016 offseason, Durant joined the best team in the league. That decision that made his departure even more dramatic. Westbrook is the most convincing success story of the supermax era. With the Thunder still reeling from Durant's departure in 2016, Westbrook was coming off an MVP season and entering the final year of his own OKC deal last season. All summer long, in 2017, there were questions about whether he'd stay with a team that didn't necessarily have a clear path to a title. Ultimately, Sam Presti was able to pull off the Paul George deal, and by September, the then-28 year-old Westbrook chose the massive amount of money and unparalleled security that OKC was offering and he signed a five-year extension to his existing deal—regardless of how you think that contract will age, that was the supermax working exactly as the CBA intended. The short-term win is a trade-off OKC would make every time. It's everywhere else that's been a mess, particularly this year. Since the new CBA took effect in 2017, the two closest analogs to Durant have been Kawhi Leonard and Anthony Davis. The former was reportedly so fed up with the Spurs last season that he was willing to ignore a supermax offer as he sought a move elsewhere. And Davis, of course, became the biggest story in basketball when his agent informed the Pelicans and the media that he would not be signing a $200-million contract extension this summer, and that the Pelicans should seek a trade before he leaves in free agency in 2020. In each case, the money wasn't enough to dissuade small-market superstars who wanted to be on bigger stage, with better teammates. That's only one respect in which this system is failing. Aside from money that fails to sway perennial MVP candidates, the current era also forces teams into difficult choices with homegrown All-Stars who meet supermax criteria but probably aren't good enough to merit the investment. That's why the Bulls traded Jimmy Butler, and why the Kings traded Cousins. 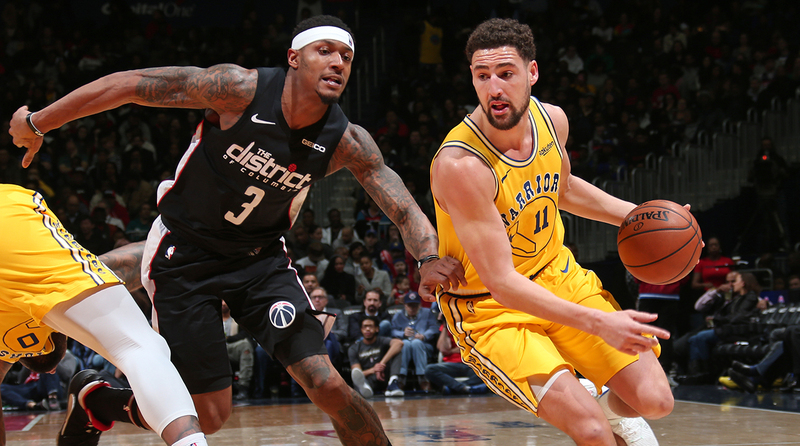 Now, as the NBA hits the home stretch of the regular season and All-NBA debates begin to percolate, the final spot on the third All-NBA team will likely come down to one of three guards: Klay Thompson, Bradley Beal, and Kemba Walker. Klay and Kemba are set to be free agents, while Beal is entering the final two years of his deal in Washington and can sign an extension beginning in July. Each player, if selected to an All-NBA team, becomes supermax eligible this summer. No one will shed any tears if the Warriors become more expensive—and Klay may be willing to forego supermax raises and stay in Golden State on a traditional max deal—but consider teams like the Hornets or Wizards. If Charlotte makes the playoffs this year, it will probably be enough to earn Kemba the All-NBA nod. But then, if the Hornets have to pay $200 million for the right to keep Kemba until he's 34 years old, that handicaps their ability to give him any hope of contending through the duration of that contract, and it all but guarantees the team will be paying progressively punitive luxury tax payments with a roster that probably tops out as a seventh seed. In Washington, meanwhile, outsiders were pushing for the Wizards to shut Beal down and tank in the wake of John Wall's season-ending injury earlier this year. Instead, Beal has spent the past two months playing the best basketball of his career. Since the All-Star break, he's averaging 29.9 points, 6.5 assists and 5.9 rebounds per game. Beal looks like a star. Now, though, the story gets tricky. If Beal makes an All-NBA team, the Wizards are unlikely to offer him a supermax deal. They already have $200 million committed to Wall in what's arguably the worst contract in basketball; compounding the Wall decision with another $200 million investment in a team with no title hopes seems untenable. But if refusing to offer Beal that deal ultimately poisons Washington's relationship with the best player on the team, the Wizards will essentially be punished for refusing to tank and allowing Beal to continue dominating through the final few months of the season. Likewise, if the Hornets make the playoffs and Kemba earns an All-NBA nod, the reward would be a July standoff with the player who made it happen. If Michael Jordan won't offer $200 million in July, that decision likely pushes Walker elsewhere. All of this is a complicated balance of pride, leverage, and long-term flexibility for both players and teams. But that's true of any contract negotiation. What's interesting about the supermax era is that these deals almost always end with handicaps that make life more difficult for everyone involved. Teams are forced to spend huge amounts of money on stars who are unlikely to reward the investment with proportional production on the court, while players who sign the deals are suddenly marooned on teams that don't have the money or flexibility to pay for contender-quality sidekicks. Because really, who are we kidding? If Kemba were to sign a huge deal to stay in Charlotte, it would be clear on the day he signed the deal that he would probably never have enough help to win a championship. If Beal signs for $200 million to play in Washington, the Wizards would spend a significant chunk of his prime paying 70% of the salary cap to two players, one of whom will probably never make another All-Star Game. That outcome would be more depressing for fans who want to see Beal win than it would be for Wizards owners. The stories are similar elsewhere, and the stakes are higher. Assuming the Blazers are forced to offer Damian Lillard his own supermax extension this summer, Lillard will be left with a similar set of choices and limitations to confront as he approaches his 29th birthday. 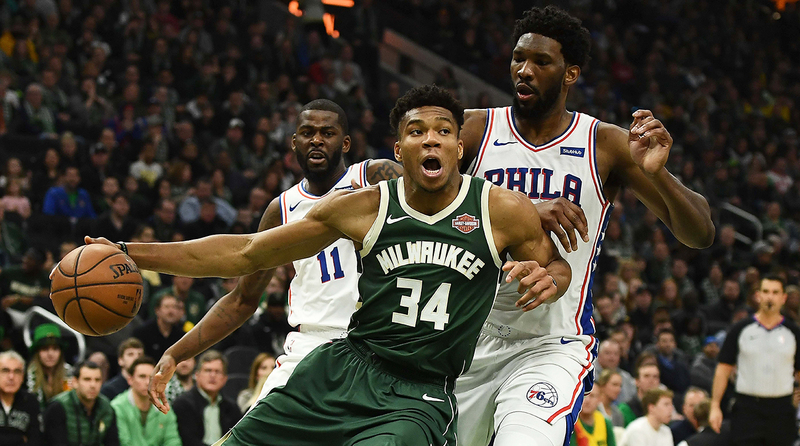 If Giannis Antetokounmpo decides to sign a supermax extension with the Bucks next summer, he'll spend his prime on a capped out Bucks team with less room to operate than most Eastern Conference counterparts. The Celtics, for example, could trade for Anthony Davis in July, but they won't have to pay him what the Bucks will pay Antetokounmpo. It all seems counter-intuitive and counter-productive, but that's the system we have at the moment. Teams who develop and retain homegrown superstars will find themselves rewarded with uniquely-bloated salary caps and stiff luxury tax payments. Meanwhile, superstars who decide to stay loyal will be asked to spend their prime with shorthanded rosters and handicapped front offices. Nothing can change until the CBA is renegotiated after the 2023-2024 season. At that point, the criteria for supermax eligibility could be narrowed, or maybe the owners will agree to leave some portion of excess supermax salary uncapped and untaxed. Until 2024, though, the Wizards are praying that Beal won't make an All-NBA team. The Warriors are hoping that Klay's second-half surge won't be enough to earn him league-wide recognition. Anthony Davis is playing 20 minutes a night after his trade demand, still resolved to ignore a $200 million contract offer this summer. Kevin Durant's move to the Warriors may have been frustrating to fans a few years ago, but at least for the moment, the league's reaction to that decision looks even worse.